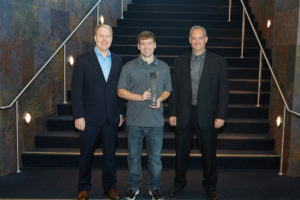 Miller-Eads has been awarded the Firebrand Award for an outstanding project leveraging the Ignition development platform with Kinetrex Energy. 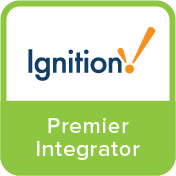 The Ignition Firebrand Awards recognize system integrators and industrial organizations from around the globe that use the Ignition software platform to create innovative new projects. Ignition by Inductive Automation® is an industrial applications platform with fully integrated tools for building solutions in human-machine interface (HMI), supervisory control and data acquisition (SCADA), Manufacturing Execution Systems (MES), and the Industrial Internet of Things (IIoT). Miller-Eads is a Gold Certified, Premier Integrator for the Ignition platform. The unique nature of Ignition as an industrial development platform first, enables powerful integration that has to this point been impossible. Miller-Eads is uniquely qualified to leverage experience and vision to incorporate all aspects of the production environment into a single source of truth. 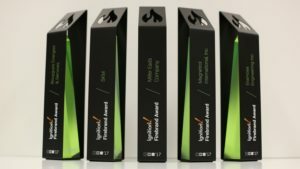 View the 2017 Firebrand award winning video below. In these complex times, simplicity can often save the day. For Kinetrex Energy, simplifying its software applications — combining several tools onto one platform — has led to greater efficiency, better access to data, and improved customer service. Kinetrex is the leading supplier of liquefied natural gas (LNG) in the Midwest. LNG can be transported by truck where pipelines don’t exist, and is a valuable element in our energy supply. Kinetrex has two LNG facilities in Indianapolis, Ind. The company converts up to 200,000 gallons of liquefied gas per day and stores more than 24 million gallons at its plants. Trucks deliver product to customers all over the Midwest. Four truck-loading stations are open 24 hours a day. While already a leader in its field, Kinetrex isn’t content with that. The company continues to push itself toward more innovation and better ways of doing things. Kinetrex brought in system integrator Miller Eads Company of Indianapolis to work with it on several projects beginning in March 2016. The two companies have more projects planned for the future. Miller Eads has been greatly impressed with Kinetrex’s desire to improve its workflows. “With Kinetrex, we were able to replace several existing software solutions, as well as make most of their process paperless,” said Charlie Hendrixson, director of automation services at Miller Eads. The company worked with Kinetrex to identify, develop, test, and deploy the solutions. The platform includes solutions for supervisory control and data acquisition (SCADA), high-performance human-machine interface (HMI), accounting, timesheets, truck scheduling, reporting, data historian, document management, and maintenance. Dashboards allow managers to get a quick overview of operations whenever they need it. Kinetrex had numerous disparate software packages that didn’t work together. It also had a relatively new SCADA system that prevented the company from reaching some of its goals. With a desire to expand its capabilities, Kinetrex engaged Miller Eads to find a solution. Miller Eads brought in Ignition by Inductive Automation®. Ignition is an industrial application platform with tools for building solutions in HMI, SCADA, and the Industrial Internet of Things (IIoT). Operators have seen numerous benefits from the increased access to data. But Kinetrex isn’t stopping there. “We’re bringing other departments within the company into the program, providing them the same visibility, and that ability to transfer information across business divisions,” said Anthony Hopwood, director of operations for Kinetrex. The software makes it easier and faster to schedule the daily flow of trucks into the facility to fill up with liquefied gas. To better organize the scheduling of trucks, Miller Eads built screens that are similar to departure/arrival tables seen at airports. The software provides much more data for operators and managers than they ever had before. The additional information leads to better decision-making. The CapEx/OpEx tool helps Kinetrex do budget planning and tracking for numerous projects. Kinetrex’s previous maintenance software wasn’t fulfilling the company’s needs. Kinetrex wanted more control and flexibility. Miller Eads used the new software platform to develop a computerized maintenance management system (CMMS) designed specifically for Kinetrex. The solution provided tools for managing assets, parts, projects, tasks, and contacts. Operators can use the tools to review their tasks and subtasks for the day. Assets and parts can be associated with tasks, which can be assigned to operators. And the system makes sure regular maintenance isn’t forgotten when unexpected maintenance issues arise. By leveraging the Ignition software, Miller Eads helped Kinetrex consolidate its existing software solutions — both software-as-a-service and on premises — to gain efficiency and functionality. Numerous software packages have been combined into a comprehensive, flexible system that was custom-made for Kinetrex. Now maintenance, expansion, and information-sharing are all much easier than they had been in the past. Kinetrex also appreciates the opportunity to work with a solid integration firm. “Miller Eads has done a fantastic job of taking what I’ve written on a whiteboard and building these projects and making them functional for us,” Hopwood said. Contact Miller-Eads today to discuss how we can transform your business.